I love the styling of this room. Cozy, eclectic, easy going, the perfect mix of retro, country, rustic and pop. And, the color scheme is brilliant! 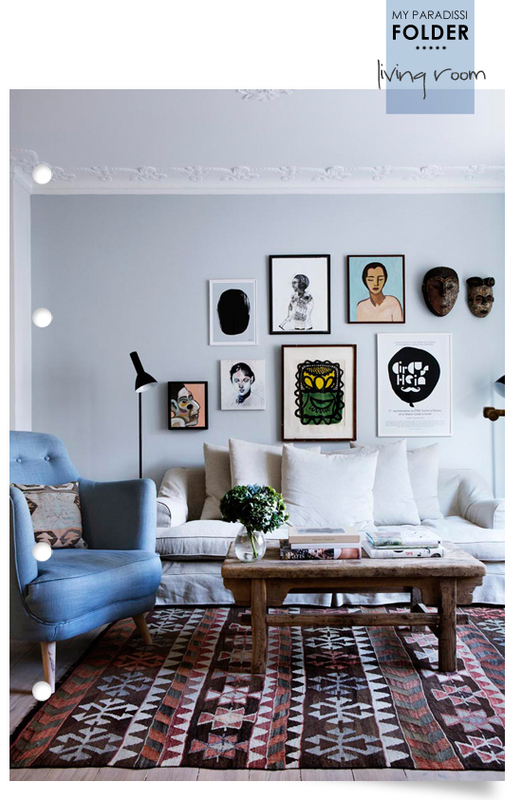 Image by Line Klein via My scandinavian home. I like how it seems that you have some handmade timber furniture mixed in with the rest of your living room. I don't know exactly why, but I feel that something made manually feels more stylish than anything that rolls off a conveyor belt or factory line.